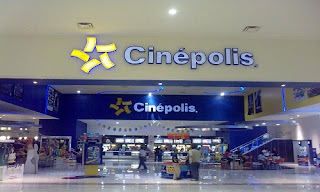 Our Correspondent ● Kolkata: Mexican multiplex operator Cinepolis will have 400 screens operational in India by 2017. It plans to add around 300 more screens in the next 7-8 years. Javier Sotumayor, managing director, Cinepolis India, said: "We are adding more screens and the total number will go up to 400 by 2017. There is also a healthy pipeline of 300 screens which will take seven to eight years to become operational. Cinepolis opened its first multiplex at Acropolis Mall in the city today. It is the fourth largest multiplex operator in India after PVR, Inox and Carnival Cinemas. Sotumayor said that Cinepolis also has megaplexes (more than 10 screens) in cities like Pune, Mumbai and Kochi. Slowdown in the Indian real estate market had put a brake on the expansion. He, however, expressed optimism about the future and is in talks with various developers. "We are signing deals with developers", he said. The Indian operations accounts for 10 percent of the company’s global ticket sales across 13 countries. In the eastern region, the operator plans to have 45 screens, including a seven-screen multiplex at New Town. "We are looking at opportunities for acquisitions as the multiplex industry is in a consolidation phase in India", Sotumayor said.